Puerto Rico Gov. Ricardo Rosselló on Tuesday said he will issue an executive order that will ban so-called conversion therapy for minors in the U.S. commonwealth. “As a father, as a scientist and as the governor for everyone in Puerto Rico, I firmly believe that the idea that there are people in our society who need treatment because of their gender identity or whom they love is not only absurd, it is harmful to so many children and young adults who deserve to be treated with dignity and respect,” said Rosselló in a press release that his office released on Wednesday. Members of the New Progressive Party, a pro-statehood party that Rosselló chairs, on Monday blocked a vote in the Puerto Rico House of Representatives on a bill that would have banned conversion therapy for minors on the island. Latino Rebels reported two Puerto Rican lawmakers — Reps. Jorge Navarro and Juan Oscar Morales — told a local newspaper they support conversion therapy. Las terapias de conversión son inhumanas y pretenden despojar al ser humano de su dignidad. Amor es amor. Es un concepto sencillo. Los compatriotas de la comunidad LGBTT aman punto. Y el amor siempre siempre le gana al odio:SIEMPRE. Maryland and D.C. are among the jurisdictions in the mainland U.S. that ban conversion therapy for minors. 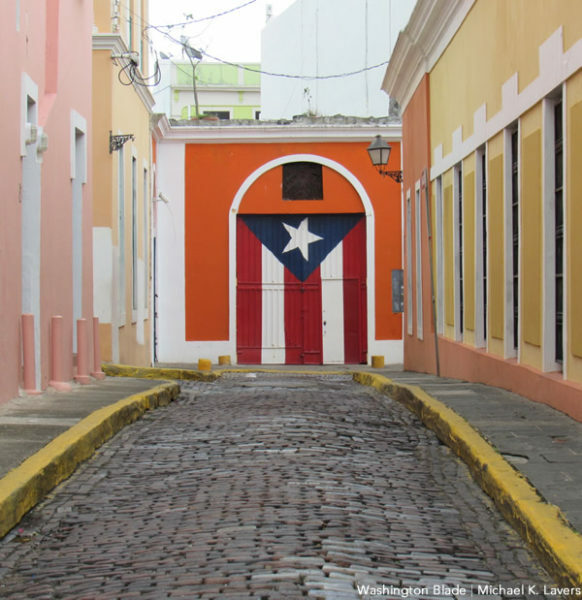 Homophobia, transphobia and conservative social and religious attitudes persist in Puerto Rico, even though the island’s nondiscrimination and hate crimes law includes sexual orientation and gender identity. Activists with whom the Washington Blade has spoken say LGBTI Puerto Ricans and people with HIV/AIDS are even more vulnerable to discrimination and violence after Hurricane Maria devastated the island on Sept. 20, 2017.